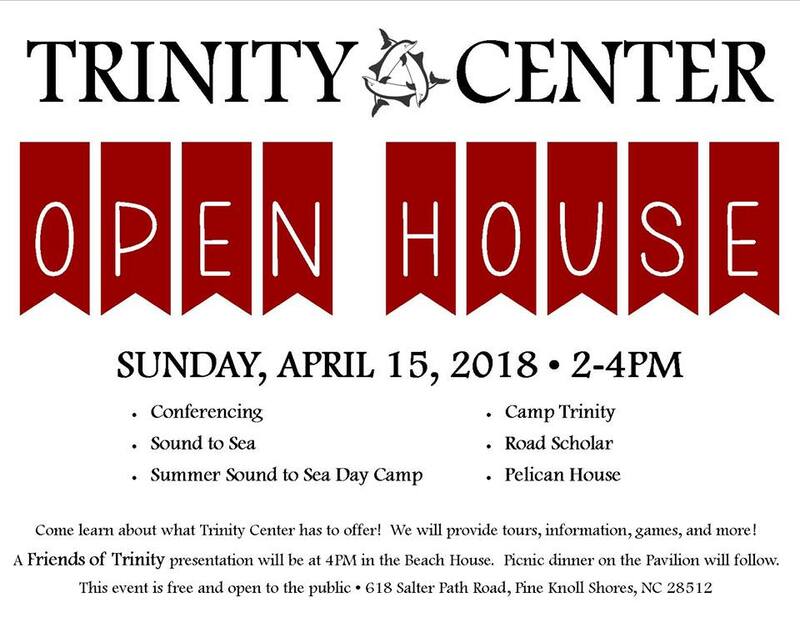 Events held at Trinity Center, located in Pine Knoll Shores NC and are open to the public for registration. Reservations must be made through group leader of that event. Camp in the middle of winter? Yes! Get ready for another Camp Trinity Reunion Weekend! We want YOU to spread the word. Mark your calendars and tag your friends! Register Early for the Giveaway! The Camp Trinity Reunion Design Team has decided to give 3 special gifts to 3 lucky winners again this year! Remember, this is a January youth event for 8th-12th grade youth. Please note that you do NOT have to be a returning camper or member of the diocese to participate. This is a great youth event to introduce new friends to Camp Trinity! DOUBLE YOUR CHANCES of winning by liking and sharing our post on Facebook and Instagram! Be sure to tag us too! We will announce the winner(s) on Saturday, December 16th! In order to be eligible, we must receive your registration by Friday, December 15th (youth event registration deadline is December 29th). WHAT TO BRING: Sleeping bag or sheets/blanket, pillow, towels, & toiletries. It is recommended that you also bring a flashlight, rain jacket, regular jacket and extra shoes. TO REGISTER: Adult advisors/staff will be provided by the Camp Trinity Staff. Complete the online registration form, write one check for your participants payable to Camp Trinity and mail both. Youth should bring completed Medical Release forms and Community Covenants to the conference or mail ahead of time to Camp Trinity. Everyone attending must have completed forms on site. Please contact the Camp Registrar at with any questions. Do Something For You! It’s time to unplug and recharge that battery before the real drain starts when school lets out for summer. Three times a year integrative life and business coach Annelies Gentile and drum circle facilitator Greg Whitt co-lead a back-to-basics immersion for adults who need a break from their busy lives. Each event invites you to unplug in order to look within, get still, refresh and connect with others through creativity, mindfulness and the natural world. Today, it takes way more human attention “bandwidth” to function and most of us are exposed to technology overload and noise pollution. You’re invited to get grounded and get away from the busy-ness of work and overwhelm of life! Reboot your system and recharge your own batteries with this back-to-basics retreat. Gain community and creativity, and learn easy tools on how to unplug at home and de-stress at work. Join us for a bit of peace of mind! You may be surprised at how valuable disconnecting will be to you personally and professionally. LET GO of your electronic tether and come play with us! Discover your inner nature IN nature on the beautiful coast of North Carolina at Trinity Center on the Southern Outer Banks, about 2 hours 45 min from Raleigh. Trinity Center has over 60 acres stretching from Bogue Sound to the Atlantic Ocean, with private beach access and a variety of walking trails through diverse coastal natural habitats. De-Stress to Success! Did you know slowing down helps you focus? This adults-only experience includes climate controlled accommodations on Bogue Sound with activities nestled within a protected live oak maritime forest or on the shore of the Atlantic Ocean. All meals are included for a healthy and affordable experience. Take advantage of yoga, life coaching, de-stressing skills or utilize the generous built-in free time to get back in touch with nature at its finest! Are you running on empty? JOIN US! Here’s what others say about our Unplugged experience! Camp Unplugged–Back to Basics Retreat! Take A Tech-Free Getaway April 1-3rd weekend! Being a passionate professional, a busy parent or entrepreneur is different these days. It’s harder on all parts of you. Today, it takes way more human attention “bandwidth” to function and while most of us are exposed to technology overload and noise pollution, many of us don’t, or feel we cannot, disconnect. Three times a year integrative life and business coach Annelies Gentile and drum circle facilitator Greg Whitt co-lead a back-to-basics immersion for adults who need a break from their busy lives. Each event invites you to unplug in order to look within, get still, refresh and connect with others through creativity, mindfulness and the natural world. Are you ready to unplug? Intimidated by the thought of slowing down a bit? It may feel risky to pull away from the activities that are associated with practically every moment of our busy modern lives. It’s normal to feel this way but don’t fret- you’ll be in good company! We’re all just like you! A bit overwhelmed, looking for the ‘how to deal’ tool. Unplugging is an excellent tool. Come, try it out with us. You’ll be so glad you took the time to recharge and reboot your human-side. You’re invited to get grounded and get away from the busy-ness of work and over-whelm of life! Reboot your system and recharge your own batteries with this back-to-basics retreat. Gain community and creativity, and learn easy tools on how to unplug at home and de-stress at work. Join us for a bit of peace of mind! Discover your inner nature IN nature on the beautiful coast of North Carolina at Trinity Center in Pine Knoll Shores, about 2 hours 45 min from Raleigh. Trinity Center has over 60 acres stretching from Sound to Sea, with private beach access; dune, maritime forest and salt marsh walking trails; contemplative gardens, island and ocean front Pavilion; campfires and unique community-style facilities. Morning Gathering with special guest Randy Senzig of C.H.E.R. Lots of FREE-TIME will be available for you to chill. Schedule activities and times may vary. Participation is optional. Need more info? Send email to conduitforchange@gmail.com or Register Online. Red Tape? Make a Bow! You know how sometimes LIFE just takes over and changes all of your plans? It is easy to get all tangled up in the red tape of planning an event only to find at the last minute, the weekend you carefully picked a year ago needs to be changed! The best laid plans and all that, or perhaps the Almighty working in mysterious ways…in any case, Trinity has space! Due to some recent last minute rescheduling, Trinity will have space available next weekend, November 12-15th. If you need to get away for some peace and quiet, give us a call. If you want to have some quality family time away from distractions, give us a call. If the kids are busy and you want an “adults only” weekend, give us a call. We’ve got space! St. Paul’s Episcopal Church Annual Harvest Bazaar, Saturday, November 15th, from 10 A.M. until 2 P.M. in the Parish Hall at 215 Ann Street, Beaufort. featuring an array of holiday gift ideas including handmade crafts, books, toys, Christmas décor, kitchen gadgets, unique treasures, holiday food, frozen and baked foods, jams, pickles and a raffle. The raffle will include many gifts from area merchants. Raffle Tickets are being sold for $1.00 each; the winners do not have to be present to receive a prize. A luncheon will be served from 11:30 to 1:00 with take-out lunches from 11:00 to 11:30; luncheon tickets are $10.00 and can be purchased in advance or at the door. Proceeds benefit local outreach projects, special events and missions. For tickets and for additional information about the bazaar, call the church office at 252-728-3324, St. Paul’s Episcopal Church. Beaufort Wine & Food Annual Oyster Roast! 3-6:00PM Beaufort East Village on Turner Creek. The gathering, complete with bonfire, hay wagon and live music, celebrates the bounty of Eastern NC cuisine and features local steamed oysters, shrimp and other seafood selections along with North Carolina pork. Silent Art Auction. Large format wines and craft beers from Carolina Brewing Company. Must be 21 years. Tickets. Boat Building Courses (2 Day Course Saturday & Sunday): Traditional techniques are taught in this workshop where participants work as a team to construct a traditional “rack of eye” flat bottom skiff. $135 (16 years and up) Maritime Museum and Harvey W. Smith Watercraft Center, Beaufort. Front Street Village Beer & Wine tastings at the Boathouse, Front Street, Beaufort. Family-Palooza Fall Festival (Games, food, music, hay rides, bounce houses etc.) Freedom Park, Beaufort. 9-11:00AM Early Bird Paddle Trip: A leisurely ride through the quiet backwaters to explore the diversity of the the salt marsh, $25 Pine Knoll Shores Aquarium. Behind the Scenes Aquarium Close Encounters: Visit labs and holding areas and feed the animals through this behind-the-scenes adventure (age 5 and up) $20, Pine Knoll Shores Aquarium. Otters! Saturday & Sunday, 11:00AM, Pine Knoll Shores Aquarium. 7:00PM Soldiers Through the Ages: Join us on the Fort’s outer wall for this special night event as we honor the soldiers who served Fort Macon from the War of 1812 through World War II. 5:00-9:00PM Swansboro by Candlelight: Sip hot cider as you stroll through historic downtown Swansboro and delight in the streets lined with luminaries, shop windows decorated in whimsical scenes, live entertainment in the town square and dinner along the Swansboro waterfront! The Best Christmas Pageant Ever: A hilarious Christmas classic about a couple struggling to put on a church Christmas pageant. The show is filled with mayhem and fun for children and parents alike. Carteret Community Theatre. Friday & Saturday nights, Sunday matinee. $8.00 students/$15 adults. 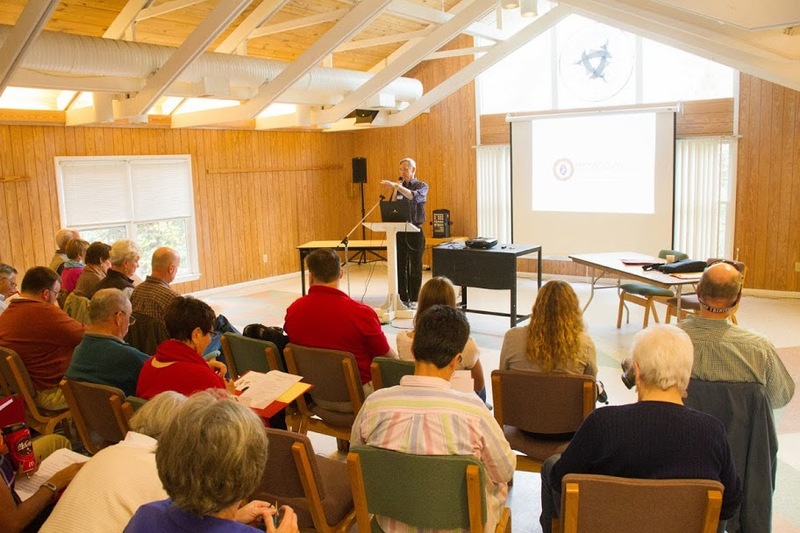 Did you know Trinity Center frequently hosts Groups Retreats that are open to the public? Phrases we often hear from departing guests are “I love it here; I can’t wait until our retreat next year!” or “It was great but we didn’t have enough time to enjoy the property!” But you really don’t have to wait until your particular group returns on an annual retreat or pine for missed free time. Trinity Center hosts several new and recurring events that have open registration and welcome new participants. Anytime you visit our blog, check the right side bar for advertisements of upcoming retreats open to the public, or visit our (ahem) “Upcoming Retreats Open to the Public” page. These notices are our way of spreading the word that there may be new and unusual ways to visit one of your favorite places, or to make new friends while participating in a beloved activity. Sometimes you have an opportunity to get in on something missed. Occasionally a guest will catch a glimpse of an interesting activity and will tell us they “always wanted to attend a [fill in the blank] but didn’t know in time.” Once in a while, Groups ask us to post vacancy notices after a registration window closes because one or more attendees have an unexpected change of plans. March 27-30, 2015: Painting by the Sea – Spring Artists’ Workshop with Jane Filer. Work in the Studio or outside in the sunshine. Experience Individual Instruction and Painting Demonstration. Have time for work and Fun! Jane’s work has been included in numerous prestigious collections in international, corporate and private sectors. She has been hosting workshops at Trinity Center since 2007. Limited post registration vacancies available! April 10-13, 2015: Yoga at the Beach with Lisa Amani to be held at the Trinity Center. This year’s retreat will include sessions in the beautiful oceanfront Morgan Beach House where one practices gentle yoga postures, breathing & meditation techniques in rhythm with the oceans waves and transform your body, mind, spirit, and your life. May 1-4, 2015: Cathy Holt Yoga Spring Yoga Retreat. Spending concentrated time in retreat, we cultivate consciousness and nonjudgmental awareness. It is a gift to Self, a chance for mental, physical, and spiritual rejuvenation. We will spend several hours a day in a morning and afternoon practice of yoga, pranyama and meditation and some evening activities a couple of the nights. There will always be a long break in the afternoon for you to explore the beautiful beach, the sound side, and pretty little trails. May 3-10, 2015: Resource Center for Woman & Ministry in the South – Writers’ Retreat. Two or three times a year, we reserve a house at the beach and sponsor a week of silence and writing for a group of about nine women. Our writing retreats at the beach have been an enormous success, providing time for small groups of women to gather and includes days of quiet and writing, and evenings of readings and conversation. These are not workshops but provide unstructured time for women to write. May 15-17, 2015: Loving Inward – A Retreat for Women with Coach Elizabeth Love. Experience a weekend of discovery, nurture &rejuvenation because You are worth loving well…boundaries… self-care… coming back home to You. Reconnect with who you really are and begin living from your deepest truth. Limited spaces available! 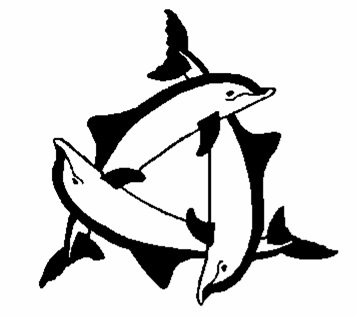 May 31-June 4, 2015: Yoma Yoga 4th Annual Ocean Retreat at Trinity Center Pelican House. Join Sharon Cournoyer, Certified Yoga Instructor, for an opportunity to remember, surrender and open to what comes from exploring yoga, meditation, journaling & nature. Only two spaces left! June 25-28 and July 23-26, 2015: Summer Interplay Untensive with Ginny Going and Tom Henderson. Want an extended time of creative play in a community of people who will affirm and applaud you? Then come down to the ocean for one of these multi-day experiences of InterPlay that includes time to relax, hang out and play in nature. Play, dance, tell stories, rest, walk on the beach, swim in the ocean and enjoy being part of a playful community. Life doesn’t have to be so hard! July 17-19, 2015: Dr. Z Yoga Retreat. Join us for our 6th annual weekend of yoga and the beach! All Inclusive price includes lodging, three meals per day, Happy Hours, twice daily Yoga instruction, and Saturday night Zumba® party! All levels of experience and both men and women are welcome!